I am not a Black Friday shopper. I love a good deal as much as everyone else, but fighting the crowds and everything else that Black Friday involves is not for me. I would much rather shop from my couch using my computer than face Black Friday. And there are many good deals online this time of year. In fact, I found quite a few cookbooks on sale on Amazon today that I thought I would share with you. If you know someone that cooks, or loves cookbooks, these might be just what you are looking for. This is the time of year everyone loves cookies and cookie exchanges. 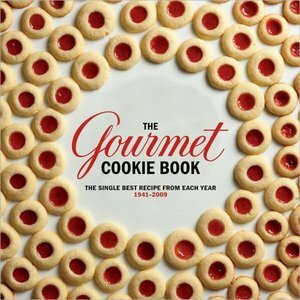 Right now amazon has The Gourmet Cookie Book for $11.86, which is a really good deal. You could make all kinds of Christmas cookies with this book. If you know someone that loves cooking this Gourmet Today cookbook would be the perfect gift. I have this cookbook and love it. It has over 1,000 pages, which is a huge cookbook, and I am not sure I have ever seen it for this low of a price. 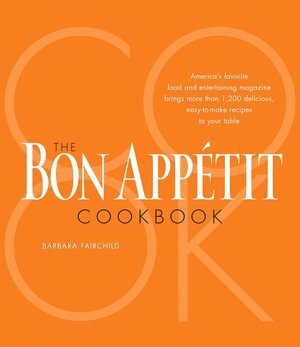 Another cookbook that I own and love is the The Bon Appetit Cookbook . This is another large cookbook and it is priced at only $13.98, which is a great deal. 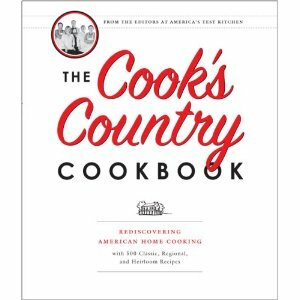 A few weeks ago I posted about The Cook’s Country Cookbook and how much I love it. Well, it is still on sale for 13.98, which is a great deal. I paid way more for mine than that. Now I am curious do you brave the stores on Black Friday or are you like me and prefer to do your shopping online or on a different day altogether. I think it depends on how many other Cook’s Illustrated/Cook’s Country cookbooks and magazines you own. I agree with some of the reviews that some of the recipes are repeats from their magazines and other cookbooks, but many of them are unique to this book. I prefer Cook’s Country because I find the recipes to be more the food I cook everyday. I think this cookbook would be a great gift for someone not familiar with Cook’s Illustrated or Cook’s Country. Not sure if that helps or not. I used to brave the crowds every year, but this year I’m just doing the online sales. Much less stressful!!! I am not a Black Friday shopper at all. My hubby likes to go some years, but he was not going to go this year; however, the kids convinced him that they were old enough and wanted to go this year. They weren’t impressed. After they left to go brave the crowds, I got on the computer and did some shopping for a few things that I was interested. I got free shipping, no hassle, no crowds. I’m a happy camper! I did totally forget about Ebates, though. I did have that up, but the item is no longer available so I removed it from the post. You couldnt pay me to go shopping on Black Friday! Online shopping for me. I love Cooks Country/Cooks Illustrated even though I have to do some tweaking since we are gluten free and have a few other dietary restrictions. 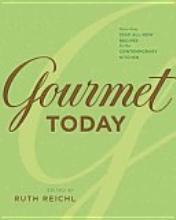 I also have the Gourmet Today and Bon Appetit Cookbooks and love those as well. Black Friday has become an evening where my sister-in-law and father-in-law bond. My father-in-law drives and gives us curb side drop off. He parks the car, gets what we send him to get then gets in line. He then texts us when he’s getting close to check out and we join him. Last night we ended up at Steak N’ Shake at 2:00am. We shopped from 9:30pm-3:30am and had a blast! Plus, we got a lot of terrific deals!